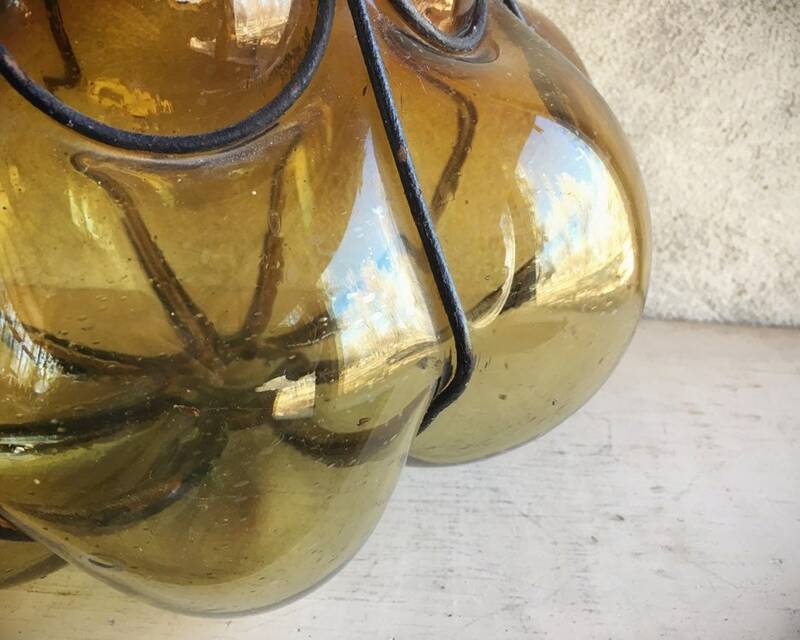 Here we have a lovely hand blown caged amber glass pendant lamp from Mexico, taken out of a Southwest style New Mexican home that was built in the 1960s. 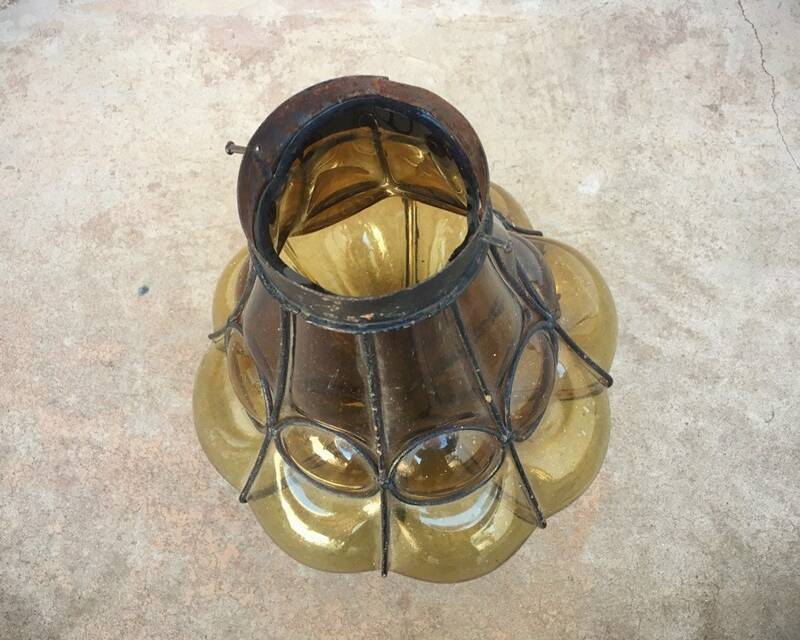 The lamp is missing its iron cap, along with the ring at the top that normally would link to chains for hanging the lamp. 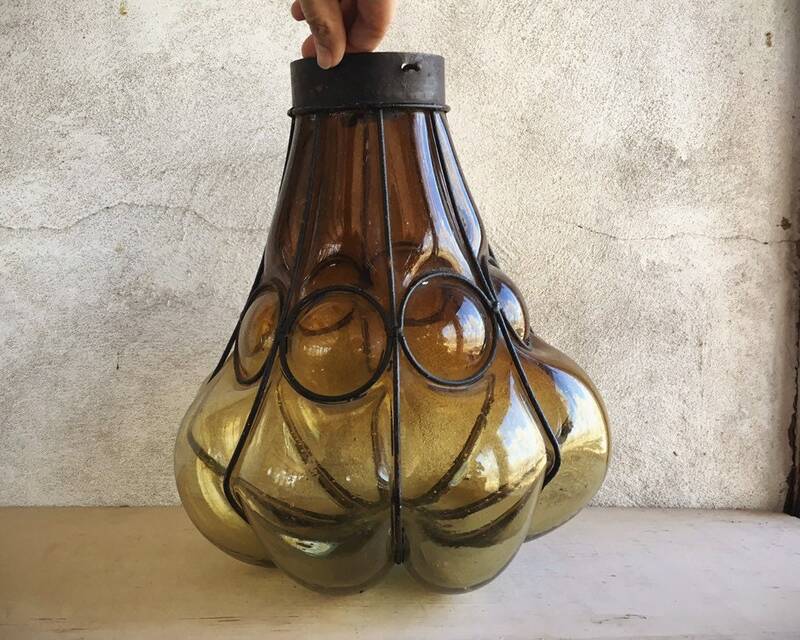 But it is a stunning piece, and as you can see in Photo 2, it is quite a bit larger than a group of such lamps that I have in my personal collection. 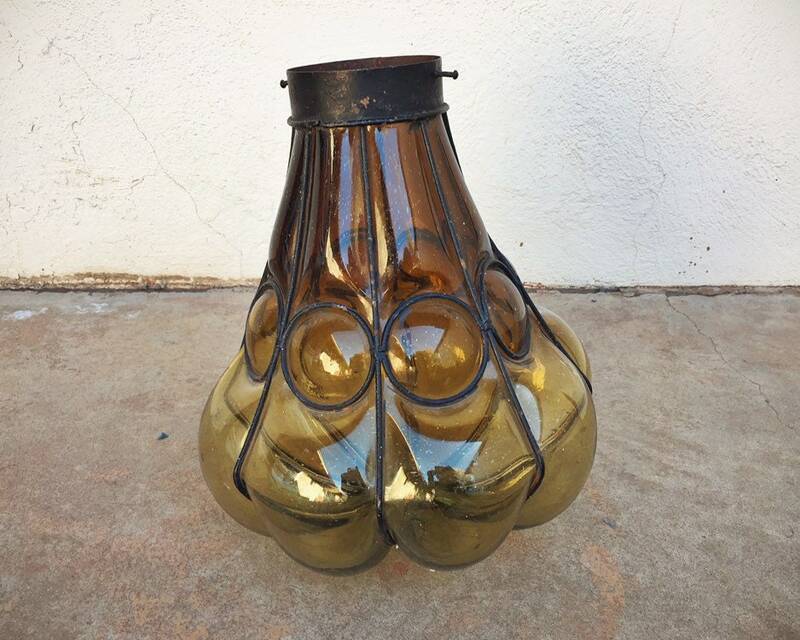 New lamps like these are still made today, although they don't have this authentic look. It truly is beautiful enough to be a decor element on a shelf or table, and it would look beautiful in a large flower pot with fairy lights inside. That is how I use the collection of lights that I have, for outdoor parties. 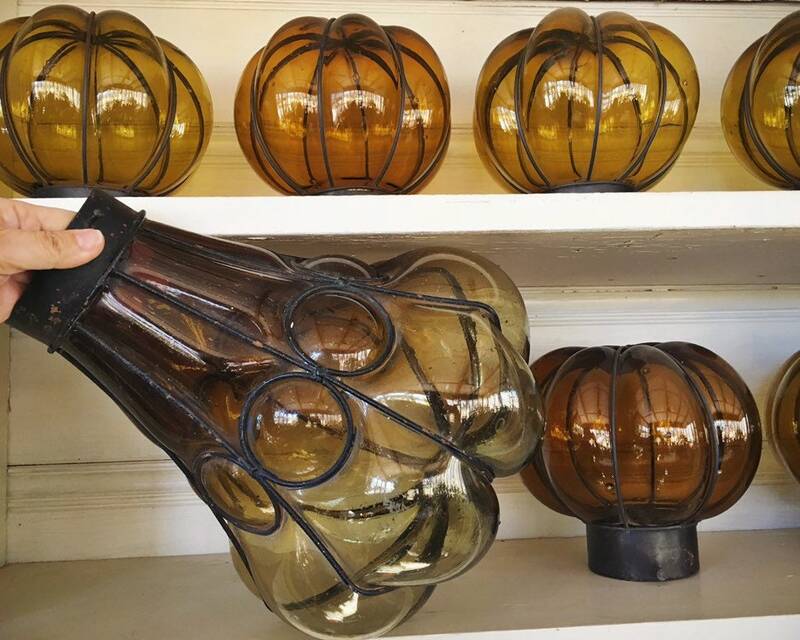 The caged glass light measures just over 13" in length, and the bulbous part is about 12" in diameter. The narrow opening is about 4" in diameter. (Note that my measurements are estimates only; getting precise measurements is difficult given the shape of the piece.) Take extra precaution with the cut glass at the top. 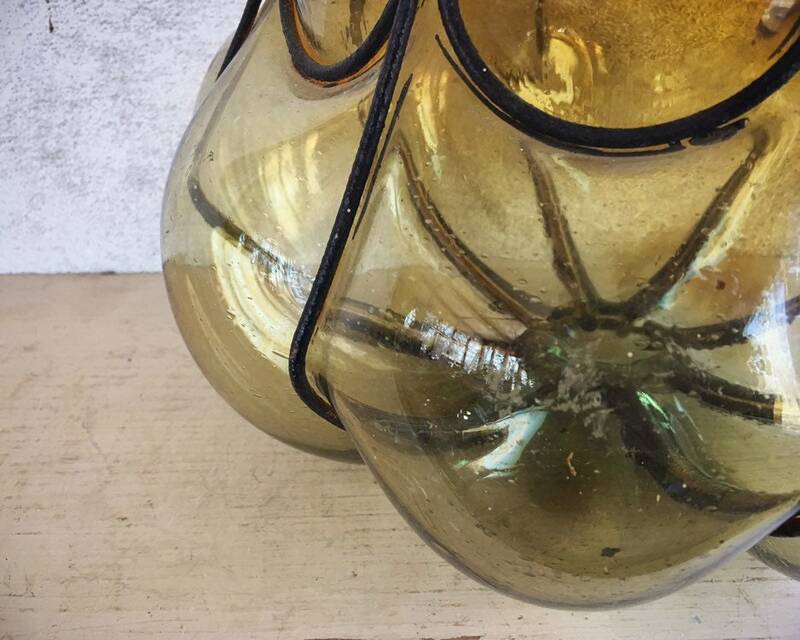 I stuck my hand into the globe to clean out decades of dirt and moths and debris, so that you won't have to. 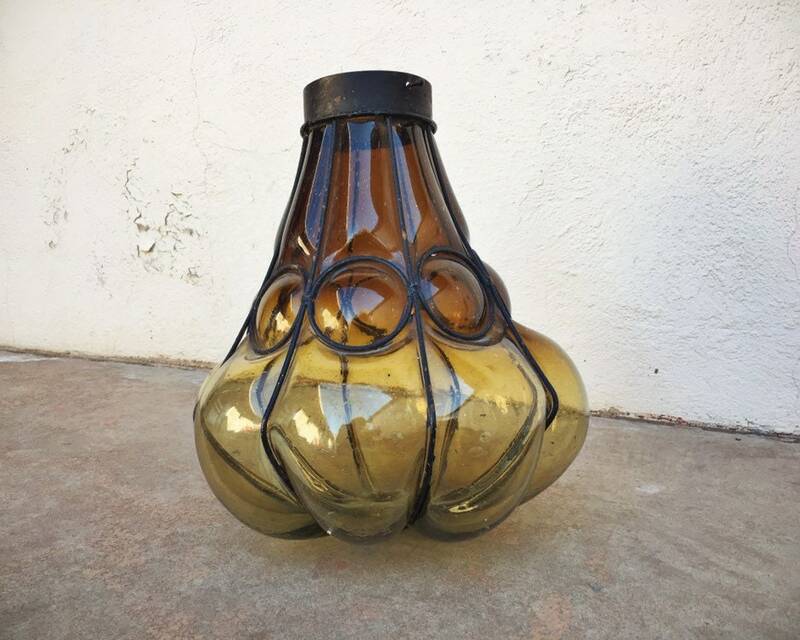 But if you use the piece as a lamp, you will need to fiddle with that inner area to place the light. Glass is in good condition--yes, lots of bubbles including one large one at the base, which I've tried to capture close up, as it will be an area especially prone to cracking given the air inside the bubble, so always set the lamp onto something soft when working it. There may be some areas of dust accumulated in areas around the iron, which shows age and in my opinion is a sort of patina to the piece. The metal is solid, although rusted and scratched. 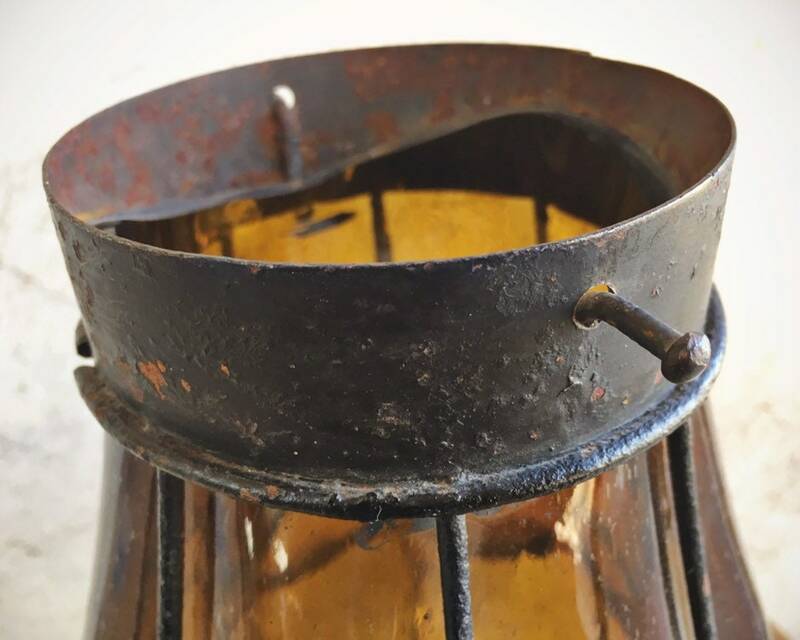 Again, there is no cap at the top, and so if you are going to hang this lamp, it will need a solution to the fact that the cap is missing. 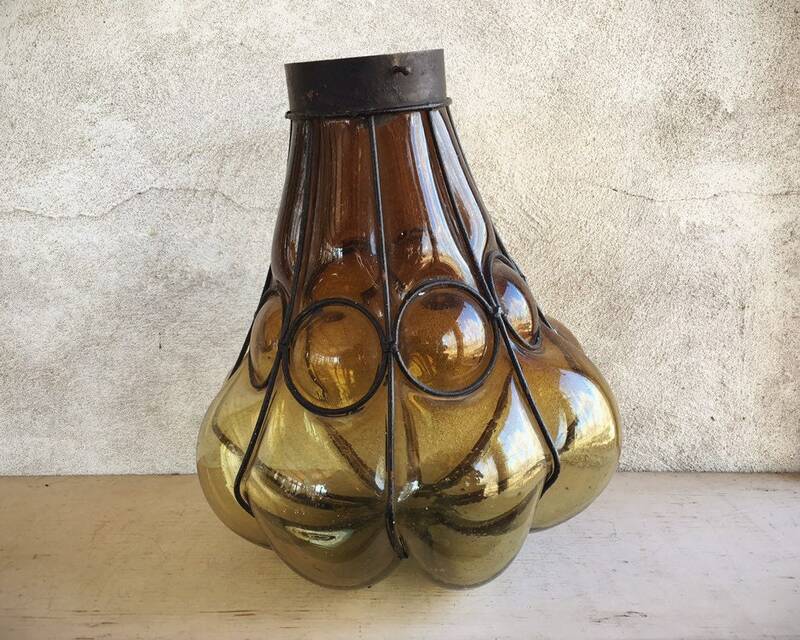 An older imperfect piece, sure to add the perfect touch to your space.